Today's Image of Mars shows the Phoenix lander 22 hours after it landed. In this image we can see three main pieces of hardware from Phoenix, the parachute, the heat shield, and the lander itself. The parachute at the bottom of the image is easy to identify because of its bright white color. Attached to the parachute is the backshell of the spacecraft. If you click on the image and zoom in on the parachute you can even make out the stripes! 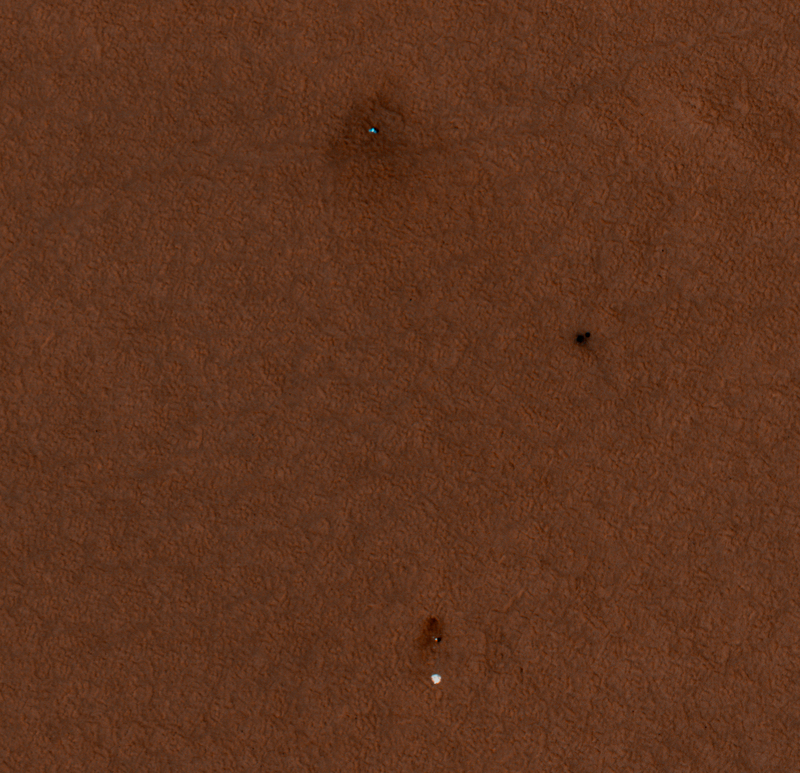 The dark splotches found in the middle on the right appear to be the result of disturbances made by the heat shield impacting and bouncing off the surface. The heat shield fell from a height of 13km so it would have made a sizable impact and bounced after touch down. All three of these sites have dark halos around them, most likely because each impact disturbed a thin dust coating that overlies much of the Martian surface.